Both our ancestors and nutritionists have acknowledged the nutritional value of cottage cheese. Rich in calcium and proteins, which causes us to feel full for longer periods, and the low fat content guarantees a healthy and nutritionally valuable meal. 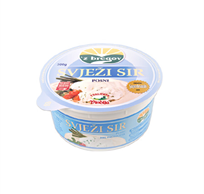 Allow yourself to take pleasure from our cottage cheese produced from fresh 'z bregov milk. 'z bregov fresh cheese brings a touch of nostalgia into your kitchen and is made using a traditional recipe that can be recognized by its specific aroma, softness and characteristic white colour. 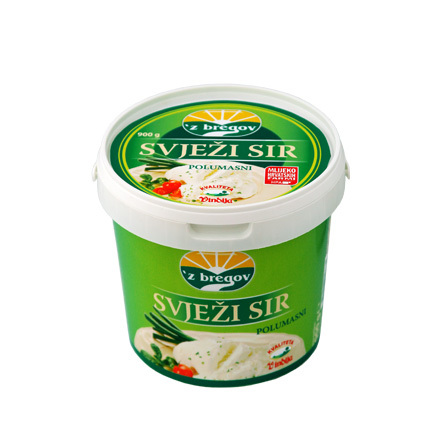 Our 'z bregov fresh cheeses are available as semi-fat and low-fat products. Low fat fresh cheese provides a rich source of proteins and calcium. 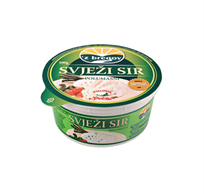 Combine our half fat cottage cheese with the tasty 'z bregov sour cream to get the familiar flavour of the traditional specialty. Our cottage cheese is available in 250 g and 500 g tubs, and it is equally sold in bulk. Low-fat fresh cheese made from cow milk is an ideal light meal that doesn't burden your digestion but in fact enhances it. The opal white colour and grainy structure bring you a fresh aroma and mild, sophisticated flavour. 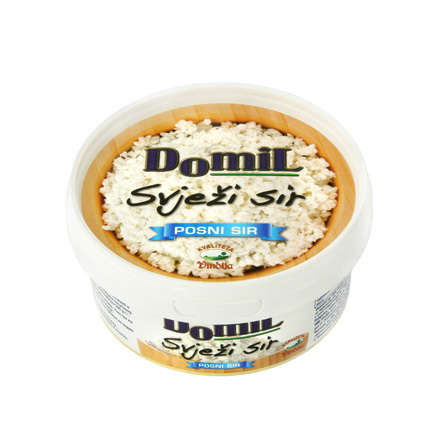 Add our low-fat fresh cheese Domil to your family table and enrich it with sour cream, garlic or freshly ground paprika..
From the slopes of fertile hills of north-western Croatia comes the cheesecloth packed Varaždin fresh cheese – the symbol of a long tradition of cheese making in this region. 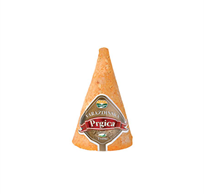 Its quality and freshness are the result of the expert handmaking and draining of the cheese in its cheesecloth. That is how this cheese gets its authentic appearance and taste, and innovative production technologies help to maintain its highly nutritional value. Vindija's cheesecloth packed Varaždin fresh cheese is ideal for preparing renowned traditional specialties, namely 'strukli' or 'gibanica' (traditional specialties made with fresh cheese) and cheese pies. 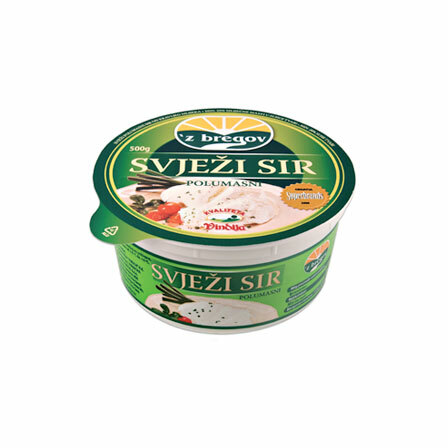 'z bregov fresh milk is the guarantee of this unique product's high quality. 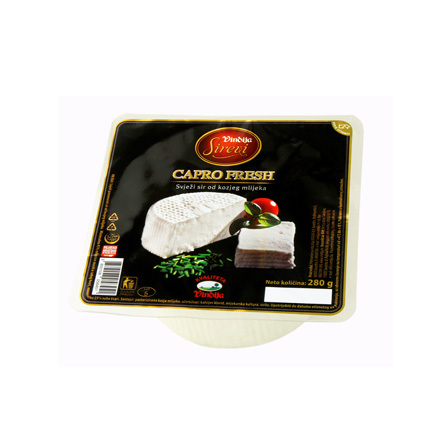 Bovi Fresh is a delicacy produced by model of the popular Capro Fresh which is well known to all admirers of fresh goat cheese. Just like its version made of goat milk, Bovi Fresh comes in a handy package of 280 grams. 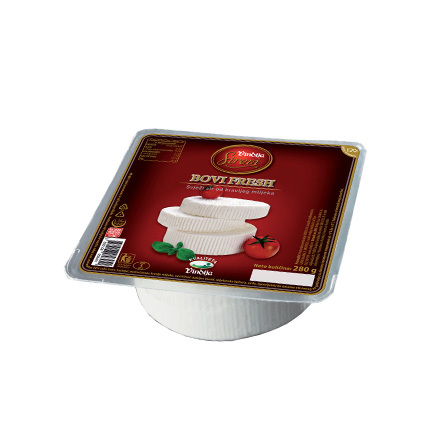 An abundance of proteins will attract the attention of all health conscious consumers, and those who prefer dishes with fresh cheese will find in Bovi Fresh an ingredient with a wide culinary application. 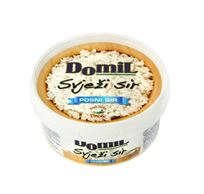 BOVI FRESH - half a century of tradition woven into cheese! A bite of health and freshness! Capro Fresh goat milk cheese is exceptionally appreciated for all its biological and nutritional values. The ingredient of many a gourmet creation, its bright white colour and mild aroma are reminiscent of the flavours and smells of a typical Mediterranean feast. Capro Fresh is easy to digest, containing many of the useful aminoacids that have a beneficial health effect on consumers of all ages, especially infants and the elderly. Its antiallergic properties and low lactose content, goat’s milk, as well as the products made from it, are suitable for those allergic to cow’s milk. 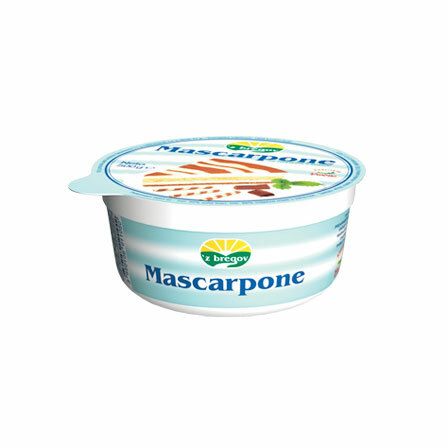 For those skilled in making tiramisu, as well as those who are still learning, we introduce 'z bregov Mascarpone. 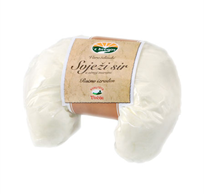 This soft cheese, which originates from Italy, has a tradition of almost half a century. 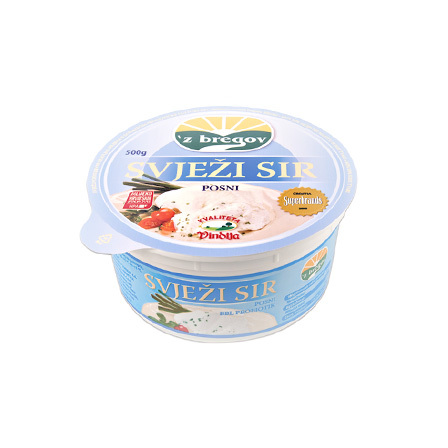 Deliciously smooth in its Croatian edition is the best substitute for double cream and it lends its excellent taste to various cakes, fillings and other treats.